Throughout the 7 years of production making State of Exception, we equipped and trained a number of activists in Rio to collaborate in the film’s participatory methodology. We are now seeking to ensure the sustainability of this initiative through the creation of a legacy project: The MUTIRÃO MULTIMEDIA LIBRARY; a photography and video equipment library accessible to media activists in Rio to borrow equipment on short-term loans. The library is an example of Collaborative Consumption, in which participants mutualize access to products or services, rather than having exclusionary individual ownership. It is part of the new Sharing Economy, which seeks to shift our relationship to the Earth’s resources, fostering social inclusion through accessibility to otherwise inaccessible communications technologies. 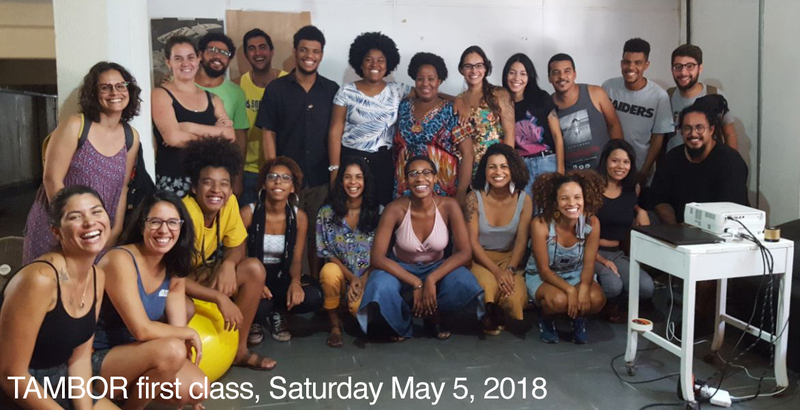 The library is launching in parallel to PROJECT TAMBOR: a series of intensive hands-on media training courses for human rights defenders working in Rio’s informal settlements (favelas), being organized by our friends at the Mutirão Lab. The next training will be running from May-August 2018, where 30 students from across Rio have been selected from more than 200 applicants to participate in this FREE program (with priority access to residents of Rio’s most militarized favelas in the Alemão, Manguinhos, Jacarezinho and Acari complexes.) Filmmaker Jason O’Hara will be teaching the Audiovisual Production component of the course in Rio for four weeks in May 2018. *Any receipts issued by IDA, in accordance with IRS regulations, will not specify a dollar amount for the deduction. They will simply describe the goods donated in detail, and the donor will have the responsibility of quantifying the donation and confirming it’s deductibility. If a donor has questions about the deductibility of a non-cash contribution they should contact their tax professional.